NerdyTurtlez.com holds complete proprietorship and it is the sole owner of all the academic assignments or projects prepared by the freelance writers in part or as a whole. Views and opinion expressed by the freelancer writers in their respective projects are entirely of their own. The company does not any responsibility to such views and not necessarily subscribe to these opinions. The company NerdyTurtlez.com reserves the exclusive right to make any necessary changes to the research projects any time that are developed by the freelancers as deemed fit. The company is not liable to notify the writer before making such modifications. If the company expresses its dissatisfaction with the quality or with the academic standard of work produced by the freelancers, the freelance writers are incumbent to make all the necessary changes until and unless the company is satisfied. The company has a clear and distinct monthly payment policy for the freelance writers. The company will not entertain any other form of compensation methods. The company holds no responsibility for all the resources/ softwares/ references that are used by the freelance writers to develop the academic projects. All concerned copyright or license procurement is the duty of the respective writers and not of NerdyTurtlez.com. International copyright conventions protect every content published on the website. Reproduction, in any form, without proper authorization is strictly prohibited. The freelance writers and all other concerned people use the website NerdyTurtlez.com at their sole discretion and risk. The company is not responsible for any loss, damage, penalty, and indirect damages arising with the usage of this website. 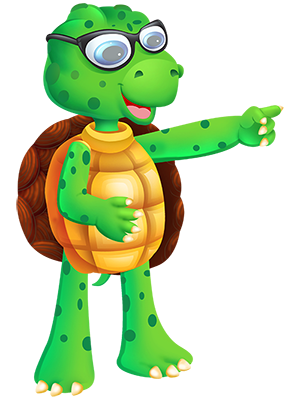 It is obligatory for all the writers associated with the company to indemnify the owners of NerdyTurtlez.com and hold them completely secure against any loss, damage, cost, claim or penalty suffered by any third party in relation to any act by the concerned writer or any of their representatives and agents resulting from the provisions of terms of usage. The freelance writers associated NerdyTurtlez.com assumes complete responsibility and risk in using the website NerdyTurtlez.com. The owners of the company are not liable for any damage, loss, cost, claim or penalty suffered by the writers from the usage of this website irrespective of their prior knowledge of any kind of damages. The owners of the company will not bear any responsibility to the writers in any form: direct, indirect, incidental or consequential damages including but not limited to any loss of revenue or profit, commercial and economic losses even if the owners of the company were advised of such loss beforehand. NerdyTurtlez.com can contain links or banners of other websites or services. These links and banners are of sponsored or independent advertisers. The inclusion of these advertising into the website is for the convenience and to provide better service to the users of this website. The company does not review or examine the authenticity of these websites and hence it is not responsible for their content and truthfulness. Access to such websites through these links or banners is entirely at the discretion of the users.